How did the collaboration with Sky come about? Somehow I think Sky just knew how much of a TV box set junkie I am! It is always really fun and exciting to work with incredible brands like Sky who are embedded in our everyday lives and so influential. 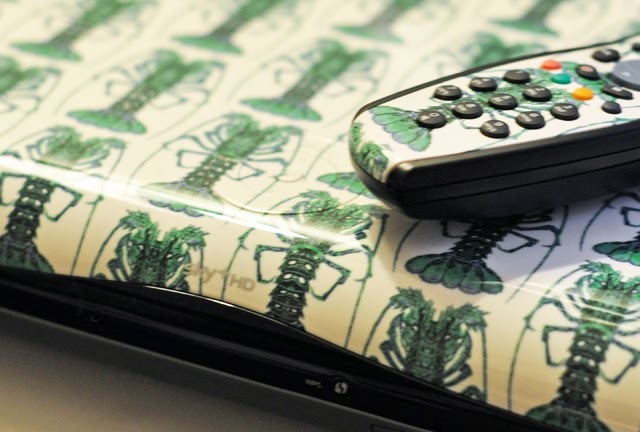 It was a real honour to create a design that will be placed on their iconic Sky+HD 2TB box. 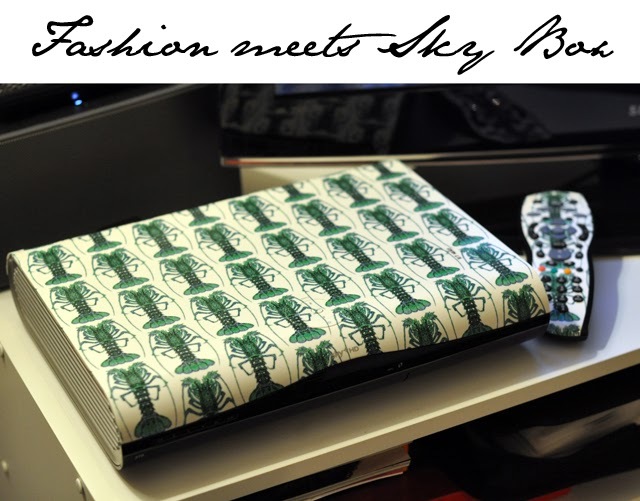 You're known for your fabulous prints so it seems only natural that sky would want to collaborate with someone with such a natural ability to make a statement. However, this statement was for the home. How did you approach the project from a standpoint of making a statement for home decor? Was this a difficult or easy transition? When we were approaching our Sky+HD 2TB Box design I was very conscious that this had to sit in someone's house. We asked the question: 'What would someone want in their house?’ We are not creating a shirt that someone can choose to wear one day and not the next, this will sit alongside someone's TV or on the mantel piece every day. We took the approach to create a design that makes the Sky box more of a conversational piece. 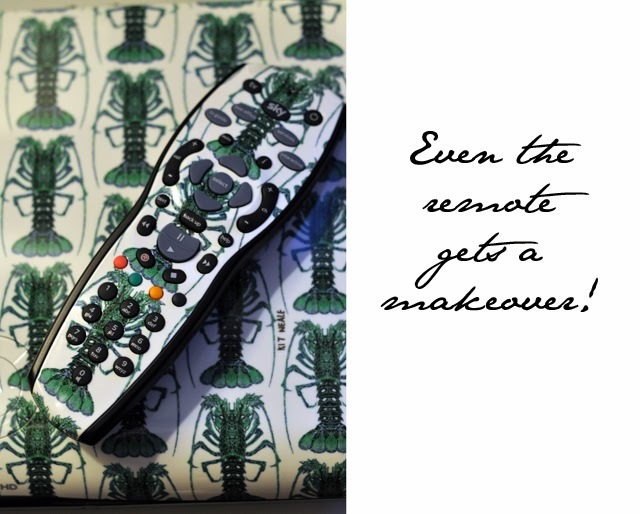 Our design is fun and playful – it's our Rockney Lobster print on a Sky box! I think it's pretty cool if I do say so myself! How did you decide which print to use? Was the choice of crustaceans one that holds a certain significance for the home? We discussed with Sky what our favourite TV programmes are. For me it was very easy as I love wildlife documentaries. We decided to fish Rockney Lobster out of the archives and rework him for our Sky Box. Who wouldn’t want a crustacean in their living room? Are you a SKY user yourself? And if so, what's the channel or show you are completely addicted to? We are obsessed with our Sky box. Sadly we work so much so always miss our favourite programmes but having Sky's On Demand service means we can record and watch the shows we want, when we want. For something more cultured my personal favourites are the David Attenborough programmes, anything wildlife associated or National Geographic but then there's your classics like Border Patrol and Honey Boo Boo which I always watch before bed. Sky Arts is also good fun. What's next for Kit Neale? After many months of working with Sky on this project we are excited that it has now been launched. For the moment that will keep us busy until our next collection in January.